Taking these few points into consideration could make all the difference to you in securing the right Tenant for your rental property. First impressions are vital. Ensuring your property is in good decorative order and clean can help to secure a fast, lucrative let. So you need high standards to achieve the optimum rent, slapdash work and dated kitchen/bathrooms will reduce your chances of finding a Tenant. Keep the décor and furnishings (if any) simple with neutral, inoffensive colour schemes that will have wide appeal. It is not just the inside of a property that is important but the appearance of the garden or outside space can be just as vital to securing a Tenant. If in doubt, speak to us – thanks to our years of knowledge, we can give you good advice on the best approach. And we can arrange decorating, maintenance works, gardening and cleaning for you. It is really important to make sure your property is marketed at the right price – if a property is over-priced it can result in costly void periods. We care as much about your property as you do and are able to provide comparable evidence relating to similar properties to back up our valuation, constructive criticism and relevant feedback. There are so many obligations now required, even before a tenant moves in. We can give you expert and up-to-date information regarding the relevant regulations. An EPC must be ordered for potential buyers and tenants before you market your property to sell or rent. An EPC contains information about a property’s energy use and typical energy costs and recommendations about how to reduce energy use and save money. An EPC gives a property an energy efficiency rating from A (most efficient) to G (least efficient) and is valid for 10 years. As from the 1st April 2018 there is a requirement for any properties rented out in the private rented sector to normally have a minimum energy performance rating of E on an Energy Performance Certificate (EPC). The regulations apply for new lets and renewals of tenancies with effect from 1st April 2018 and for all existing tenancies on 1st April 2020. It will be unlawful to rent a property which breaches the requirement for a minimum E rating, unless there is an applicable exemption. Tenancy Deposit Protection is a requirement of the Housing Act 2004. Deposits on assured shorthold tenancies (AST's) must be protected with a government approved scheme. The landlord or agent must protect the deposit and issue prescribed information to the tenant within 30 days of receiving the deposit. 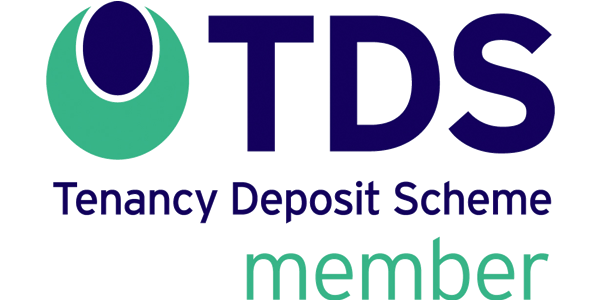 Hardcastles is a member of Tenancy Deposit Scheme (TDS), a government approved tenancy deposit protection scheme in England and Wales operated by The Dispute Service Ltd. The law states you must maintain the property and undertake any major repairs that are required. This includes anything that affects the structure and exterior as well as the electrical, heating, hot water and sanitary conditions. However Landlords/Agents must give Tenants reasonable notice and arrange a suitable time if they need to visit the property to inspect it and do repairs. The Gas Safety (Installation and Use) Regulations 1998 say landlords must ensure that gas appliances, fittings and flues are safe for tenants use and that installation, maintenance and annual safety checks are carried out by a Gas Safe-registered gas installer. If everything is OK, you'll be given a certificate and you must give a copy of this to the tenant. Gas safety checks must be carried out on a property annually and any necessary work identified by gas engineers should be carried out. a carbon monoxide alarm in any room used as living accommodation where solid fuel is used (eg a woodburning stove/open fire) after that, the landlord must make sure the alarms are in working order at the start of each new tenancy. The Electrical Equipment and Safety Regulations say you must ensure that the electrics are safe, with operating instructions and safety notices supplied before a letting commences. Get your electrics regularly checked by a qualified electrician. All soft furnishings must comply with the Furniture and Furnishings (Fire) Safety Regulations 1988 and be fire safety compliant. Look for the fire safety label on all furnishings. Landlords of certain buildings that are occupied by more than one household (known as HMOs) have extra legal obligations to provide adequate fire precautions and means of escape from fire. Landlords should make 'reasonable adjustments' to their property to accommodate a disabled person.